My parenting life looks much different than I ever thought it would. As a single mom of one son, I met and married a wonderful Christian guy, and we had two more children. John and I embraced the parenting years, but we were also looking forward to having an empty nest. After all, we’ve never had a season when it was just us. That’s when God stepped in with other ideas—namely a heart for adoption. In the last five years John and I have adopted three children, two from the foster care system. Currently we’re in the process of adopting four more, also from foster care. Let me do the math for you. That’s ten children. Ten! I won’t lie; growing up I always liked the idea of a big family . . . but then reality hit when I was a young mom of three kids five and under. I was DONE having kids. Yet through the years as I grew in my relationship with Jesus Christ, I learned something important (and Biblical). My purpose in life should not be to set out to fulfill my dreams but rather God’s dreams. Parenting is not about me—or even our kids—it’s about Him. If you dig into Christ’s purpose on earth His desire was to show His disciples (and us) what truly is important, what to focus on. Now that we have Christ-in-us, His focus should be ours. Our world looks very different than the one Christ walked in 2,000 years ago, but the heart of Christ has not changed. The key to parenting is seeking Christ’s heart first. Isn’t this a model of good parenting? Parenting is sacrifice. Parenting is unconditional love. Parenting is humility. It’s giving up pieces of your life for the kids Jesus has given you. It’s extending grace when you least want to give it. It’s focusing on what’s eternal, rather than what won’t last. To put it another way: Our purpose as a parent is to seek Christ’s heart and walk out His desires in the midst of our parenting. Sometimes this means sitting down to teach God’s Word to our children even if putting on a Disney movie and calling that “family time” is much easier. Sometimes it means opening your home to orphans or doing foster care. The thing about Christ’s vision for parenting is it’s no different than His vision for anything else. And that’s where we get confused. We often let the world (or Pinterest) dictate what a good home looks like and what a good parent does, instead of simply treasuring what Jesus treasures and obeying what Jesus commands. The more kids John and I have added to our family, the more the fluff has been removed. 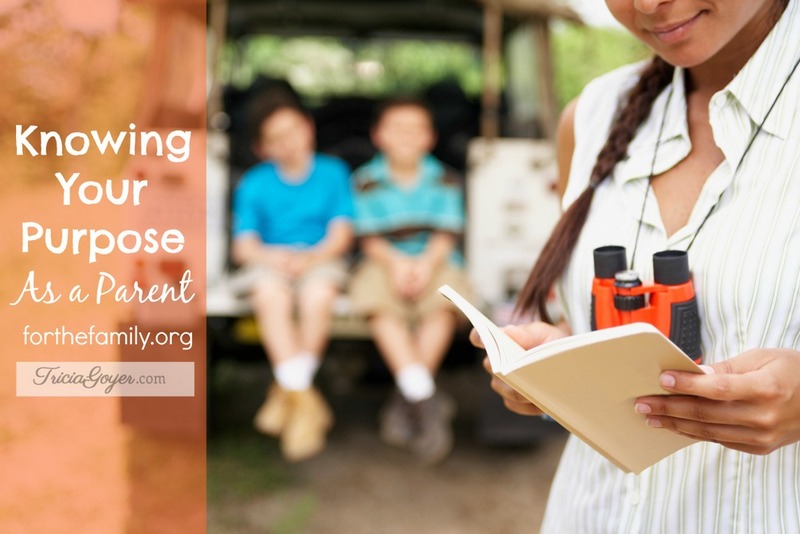 For survival’s sake, extracurricular activities, fancy vacations, and nice things in our home are not a priority. Family prayer times, family means, and spending time together on walks talking about life is. The more kids we’ve added, the more we’ve had to focus on what matters most: sharing the love of Christ moment by moment in ordinary ways. And this, we’ve discovered, is what our purpose as parents is all about. And once we’ve embraced the simplicity of serving Christ in our parenting, our life has actually become easier. We’ve simply learned to focus on loving those who need it in the best way we can in the moment, just as Jesus would. Tricia Goyer is a CBA best-selling author of 33 novels and the winner of two American Christian Fiction Writers’ Book of the Year Awards (Night Song and Dawn of a Thousand Nights). She co-wrote 3:16 Teen Edition with Max Lucado and contributed to the Women of Faith Study Bible. Tricia is the host of a weekly radio show, Living Inspired. Also, a noted marriage and parenting writer, she lives with her husband and children in Arkansas. You can join her atTriciaGoyer.com, on Facebook and Twitter. Hey there! Thanks so much for stopping by our blog. We are absolutely thrilled you are here! 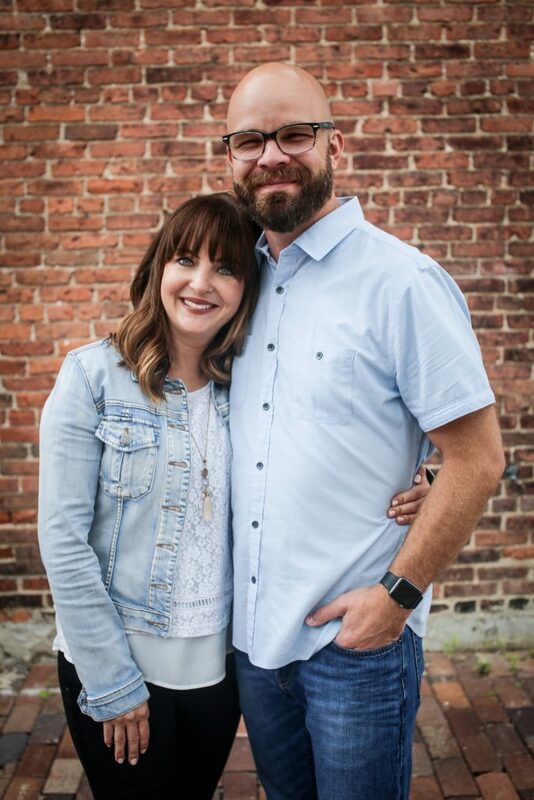 We are a crazy church planting couple who loves Jesus, our four kids and loads of coffee! We are giving God the glory every step of the way and love sharing our journey with you. 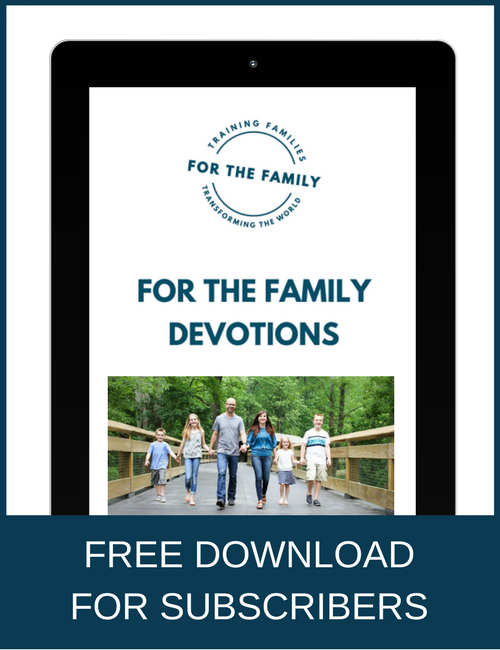 Subscribe and receive our 10-Day Devotional FREE!